Jackie Lee “Jack” Sweitzer, age 56, of Godfrey, Illinois, formerly of Collinsville, IL, born on April 27, 1962 in East St. Louis, IL, died on Friday, August 17, 2018 at St. Louis University Hospital, St. Louis, MO. 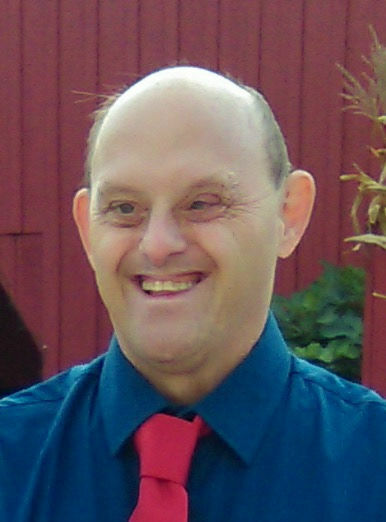 Jack was a resident of Beverly Farms in Godfrey, IL. He was a graduate of Collinsville High School, Collinsville, IL. Jack loved entertaining his friends and family. He was preceded in death by his parents, Clyde and Eva, nee Bieniek, Sweitzer; and an infant brother, Billie Sweitzer. Jack is survived by his siblings, Ronald Sweitzer of Annibel, MO, Loretta King of Cape Giraudeau, MO, Charles Sweitzer ( Meryln) of Warrenton, MO, Ray (Yvonne) Sweitzer of Caseyville, IL, Larry (Linda) Sweitzer of Mt. Washington, KY, Diana Sweitzer of Centralia, IL, and Linda (Mike) Nance of Collinsville, IL; many nieces and nephews; and his family at Beverly Farms. In lieu of flowers, donations are appreciated to Beverly Farms, Activities Department, Godfrey, IL. Visitation will be held from 4:00 p.m. to 8:00 p.m. on Thursday, August 23, 2018 at Kassly Mortuary, Ltd, Fairview Heights, IL. Funeral Services will be held at 1:00 p.m. on Friday, August 24, 2018 at Kassly Mortuary, Ltd, Fairview Heights, IL with Dr. Jim Kerr officiating. Interment will be Jefferson Barracks National Cemetery, St. Louis, MO.